Springer Fishing on Icicle kicking into high gear! So its been a while since I updated this blog sorry about that but fishing has been too good to be sitting in front of the PC, and springer fishing on the Icicle River is not conducive to more than a few hours sleep a night. Fishing has been fair so far with at least a fish per trip average in my boat but the season is still very early with lots of fish to come still with a projected run of over 9000 fish we have only 234 fish at the hatchery so the next few weeks should be pretty good fishing. The weather is nice here in Wenatchee around 80 for past few days with lots of snow low, so the river very easily could get very high and dirty but will push in a bunch of new fish. When the water is high we catch them on plugs wrapped in bait strips marinaded in Pautzkes Nectar and when the water clears up we will be using Fire Cured eggs and herring also soaked in Nectar. So far it has been a nice mix of fish with several 5 year fish over 20 lbs and a mix of 10-15 lb fish as well as some jacks showing up recently also. 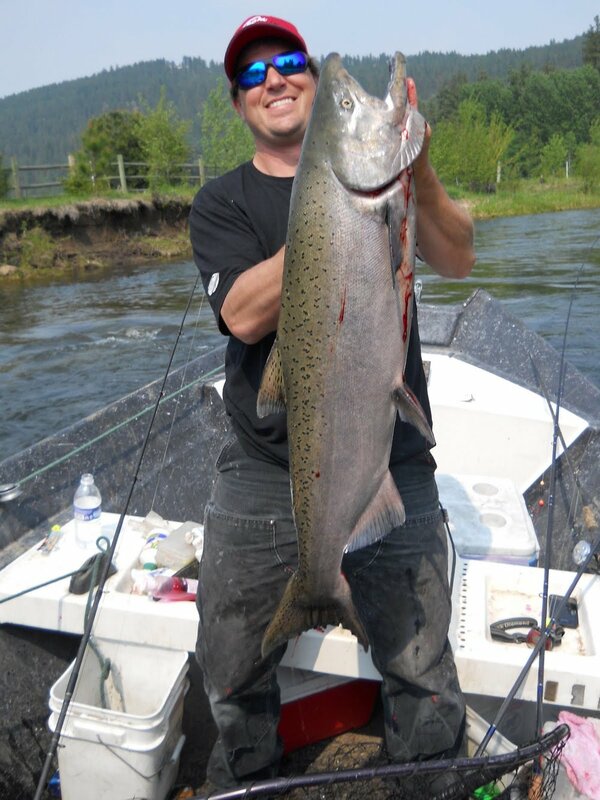 We will be fishing the Icicle River through the first couple weeks in July and anticipating some pretty good fishing! We have a few dates open for the rest of the fishery if you want to catch springers in the sunshine get your date asap before they are all gone. See you on the water! Steelhead was great but Springers are coming!